Chardonnay, Wine of New Zealand. Gisborne. 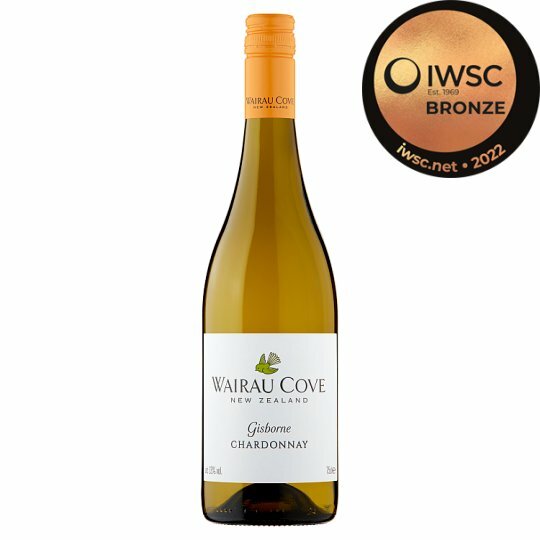 Wairau Cove is an incredibly lively Chardonnay from the masters of the genre in the Gisborne region of New Zealand's North Island. This fresh tasting white leaps out of the glass with lemon, spiced pineapple and juicy stone fruit aromas and flavours. This wine is a perfect aperitif or accompaniment to grilled chicken, soups or hearty fish dishes. To enjoy this wine at its best, serve chilled and consume within one year of purchase. Once open, drink within two days. Grapes are picked at optimum ripeness and the wine is fermented in stainless steel casks in order to let the fruit flavours of the wine speak for themselves. In the sixties, Gisborne became a powerhouse wine-growing region. With large yields on the higher cropping grapes, the area gained a reputation as a "bulk wine" distributor. Huge plantings were undertaken by landowners cashing in on the market.Today, Gisborne remains one of New Zealand's most important grape growing regions and is the third largest in the country. Critics, judges and everyday wine lovers continue to be impressed by the quality and variety of wines crafted in the area. Gisborne is one of New Zealand's most important grape growing regions, the third largest in the country. Rainfall averages 900-1000mm per annum. Heat summation is 1400-1500 GDD. Sunshine hours average 2186 per annum. The dominant soil type is loam and the region is revered as a top Chardonnay-producing area. Store in a cool dark place. Best enjoyed within one year[s] of purchase, once opened consume within one days.